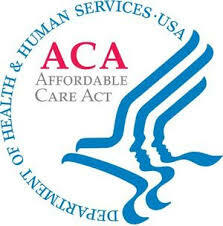 In terms of significance, the passage of the Affordable Care Act (ACA) in 2010 is often compared to the establishment of Medicare and Medicaid in 1965. The ACA grew out of advances in coverage provided by Medicare and Medicaid—in fact, President Teddy Roosevelt first proposed a national health insurance program in 1912. We celebrate over 100 years of healthcare progress in 2016. The ACA turns six on March 23, 2016, and its elder sibling, Medicare, turns 51 a few months later. Both programs continue to evolve, enhancing the lives and health of Americans. More states continue to expand Medicaid. Thirty-one states, including Washington, D.C., have expanded Medicaid, and it is under discussion in others. Since the ACA took effect, twenty million uninsured adults aged 18 to 64 gained health coverage. This figure does not include children or adults aged 65 or older. The uninsured rate has decreased substantially across all races and ethnicities throughout the country. 1.57 million Californians selected health plans during the recently ended Open Enrollment Period. And recent data suggests California has seen a significant drop in its percentage of uninsured. Young adults can stay on their parent’s plans until age 26. Consumers have appeal rights on denial of payment decisions. Insurance companies must justify rate hikes. Many preventive care services are covered at no cost with Qualified Health Plans and with Medicare. The Medicare “donut hole” is closing and will be closed by 2020, saving seniors on prescription drug costs. Health plans must spend at least 80% of premiums on health care instead of administrative costs. Insurance companies can’t deny coverage based upon preexisting conditions. Medicare payments to hospitals and physicians are now linked to quality instead of quantity of services provided. States are incentivized to come up with innovative plans to improve the health of their citizens. These are just a few improvements the ACA has brought to the entire healthcare landscape. Changes continue to be phased in, bettering healthcare and health in America. We are working now to improve care, by encouraging better coordination and prioritizing wellness and prevention. We’ve already begun to see success in programs like the Diabetes Prevention Program, which help at-risk individuals turn their health around before they develop diabetes. By preventing illnesses before they happen, we can save lives and save money. And finally, we are taking a new approach toward health care data. Private businesses are building creative apps that help patients and doctors better access electronic health records and be active participants in their own care. Visionary Americans fought for the right for all Americans to have affordable, quality healthcare. The ACA will continue to bring those visions to fruition this year and for years to come.